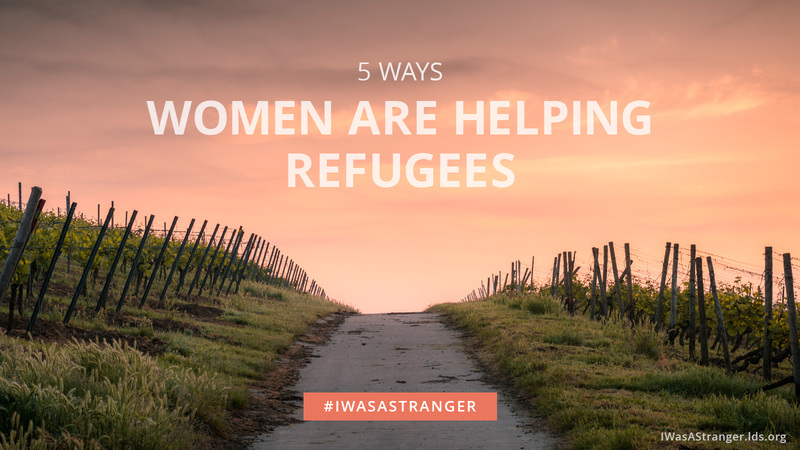 Many people are facing serious problems due to the worldwide refugee crisis, and the amount of need can seem overwhelming. It may feel difficult to know where to start, but there are many things that we can do to help. Any act of service, no matter how small, helps alleviate problems. Randi Sue, a few other mothers, and their children set up and ran lemonade stands and donated their earnings to UNICEF. Kendy invited a group of refugee children from a nearby school to participate in her ward’s pinewood derby. Traci and her stake collected, packed, and provided 5,000 meals for a refugee camp in France. Caitlin used her background in education to teach English to the immigrants and refugees living in her apartment complex. Through a local organization, Tamora and her family befriended a family from the Congo and helped them with day-to-day needs. Through their inspired service, these sisters have blessed the lives of those in need and have received blessings in their own lives as well. Like these sisters, you too can find ways to reach out to those in need near you in ways that fit your needs and circumstances. 1. Linda K. Burton, “I Was a Stranger,” Ensign or Liahona, May 2016, 14.